Midtown (just south of downtown): hubs for restaurants and bars include Gray St. at Bagby St. The secondary Green and Purple lines begin downtown and run east and southeast, respectively. The best way to use METRORail is to plan your trip with Google Transit, a feature of Google Maps. METRO does have a free trip-planning app both for iOS and Android mobile devices called METRO T.R.I.P. Nevertheless, Google Transit is more reliable and includes accident and delay information. Single-use fare cards can be purchased at kiosks with cash or credit card at each station. Transfers while traveling in the same direction are free. 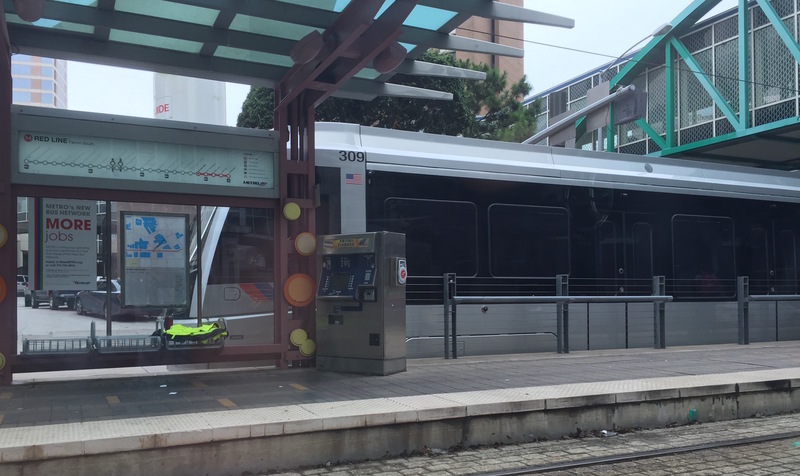 Certain high-use sections of METRORail are occasionally patrolled by METRO officers who will inspect and verify riders’ fare payments. Weekday trains run every 10-12 minutes. Click for information about accessibility on METRORail. Note: Be on the lookout for details about special $12 Metro passes covering unlimited rides on all Houston Metro rail and bus lines April 6-9, 2015. We expect these convention passes, created specifically for 4 Cs attendees, to become available by February 2016. 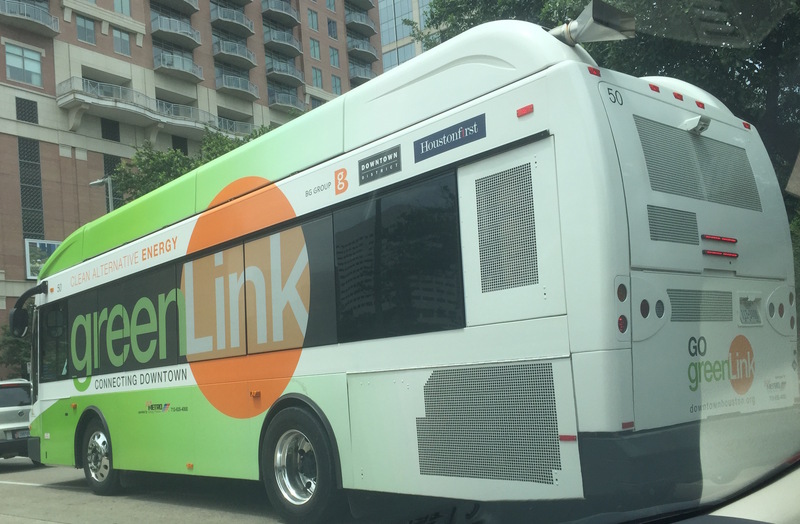 Greenlink (Bus): Free and energy-efficient downtown bus running Monday-Friday 6:30 a.m. – 6:30 p.m. every 7-10 minutes. Stop #13 on the Greenlink route is in front of George R. Brown Convention Center. Click here and scroll to “Greenlink” for more information, including a route map. Bus (Other): Tickets for local METRO buses are $1.25 each way. Click for bus schedules. Click here if interested in purchasing a METRO Q® Fare Card. Click here for information about accessibility on Metro buses. METRO Customer Care Center: 713-635-4000. Individual hotels should be contacted for more details. Houston B-cycle (Rental Bike): Bicycle rentals straight from any of Houston’s 25 B-stations, most of them in Downtown or Midtown. You may return your bike to any other B-station. The system requires a credit card and the purchase of either a 24 Hour Pass, 7 Day Pass, or Annual Membership. 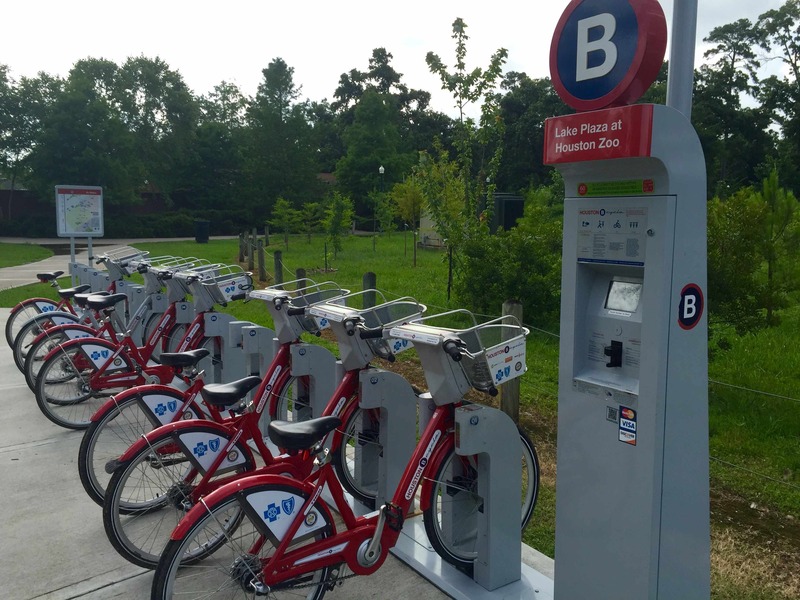 (Note: Certain B-cycle memberships in other cities are valid in Houston.) Only 24 Hour Passes can be purchased at the stations. The cost is $5.00. Keep in mind that the best way to use a B-cycle is to check out and return the bike within the hour. Use a B-cycle the way you would use other forms of public transportation. Though the bike comes with locks, users are charged $2.00 for every half hour the bike is “out” past the initial free hour that the pass provides. Check the bike out, pedal to your destination, check the bike in, and you’re done. Taxis: A $6.00 taxi ride (not including tip) will take you anywhere downtown–the area bounded by I-45, I-10, and US 59–through the Six in the City deal. Look for any of the 21 designated cab stands or find one of the 30 cab-hailing stands downtown. This deal applies day or night, with a single rider or multiple riders, and for any cab company. However, it applies only for hailed cabs. And if you leave the downtown area and/or you have multiple drop-off locations, your rate will increase. Popular cab companies for downtown and other areas include Lone Star Cab: 713-794-4444, Taxis Fiesta: 713-225-2666, Hail-A-Cab: 713-236-1111, and Yellow Cab: 713-224-4445. Be sure to call ahead for hours of operation. Uber: Uber operates throughout Houston. In early 2015, the City of Houston passed strict regulations requiring that Uber drivers receive background checks and screening. Uber cars can provide a cheaper alternative to cabs. Unlike cabs, though, Uber requires a mobile device that is linked to the user’s credit card. Note: Houston lacks the similar service Lyft. Walking: Downtown is compact enough to be walkable. From George R. Brown Convention Center, give yourself 15 minutes to get to the west (opposite) side of downtown. 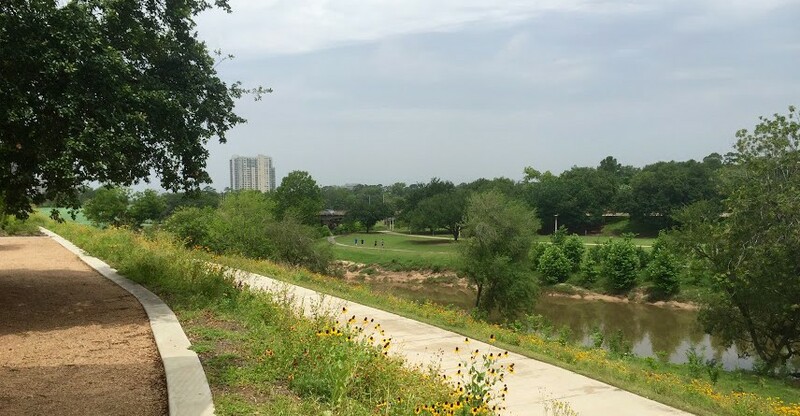 On the west side of downtown, you will find Bayou Place (500 Texas St.) containing restaurants, a performance center, and a Sundance Theatre; the Theater District comprising various concert and performance halls; and historic Market Square (301 Milam St.). Along Main St., which courses north-south through the middle of downtown, you will find inexpensive pubs and restaurants. Baseball fans will be happy to find Minute Maid Park, home of the Houston Astros, immediately north of George R. Brown Convention Center. Note: Even at crosswalks, watch for oncoming traffic when crossing the street.